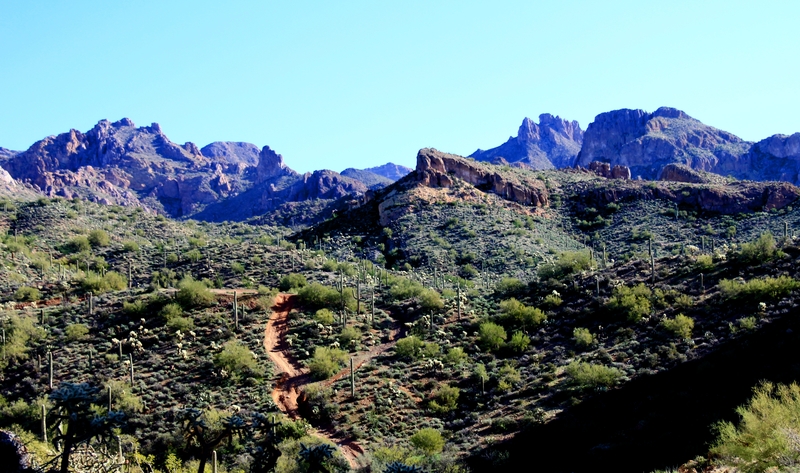 Wednesday (Jan 7th) we had a great turnout for another trek of the Box Canyon loop. 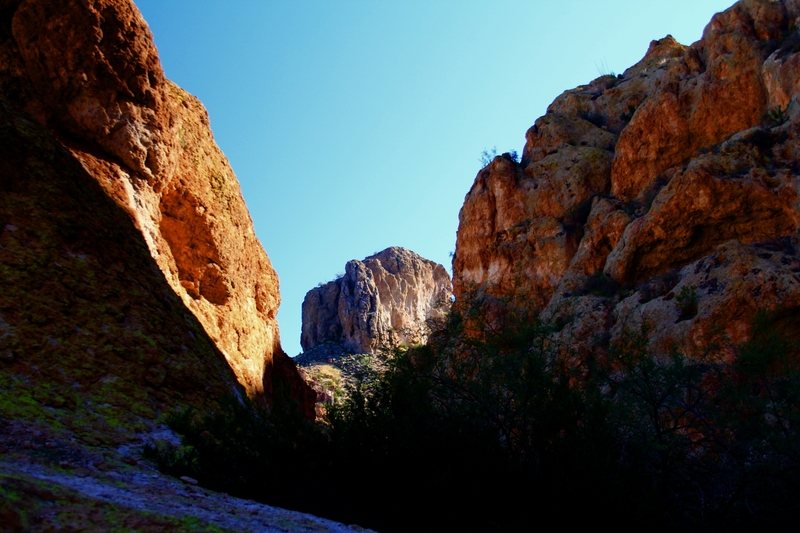 This is a hike of dramatic contrasts of shadowed canyon floors and sun raked cliffs and canyon walls. That’s what make it beautiful, and also what makes it very difficult to photograph “on the fly”. 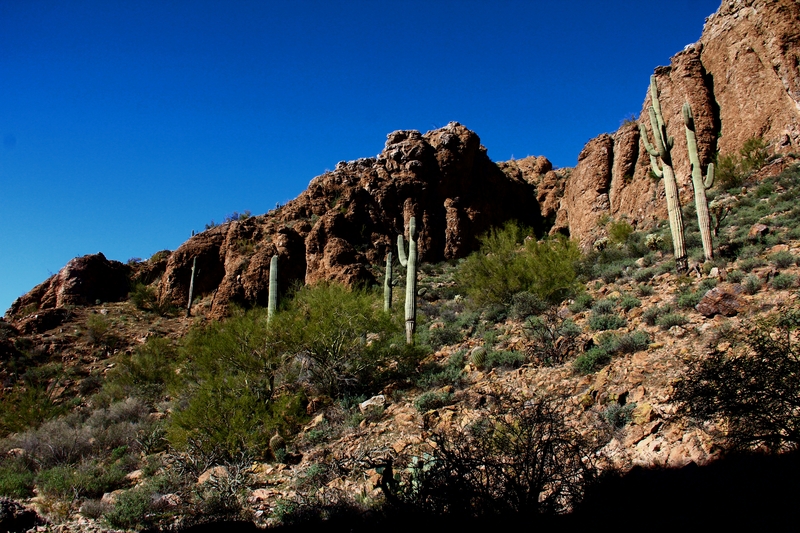 To properly capture these striking displays of shadow and light would require a tripod and HDR. Here are a few exposures which only hint at the scenes in this canyon environment. 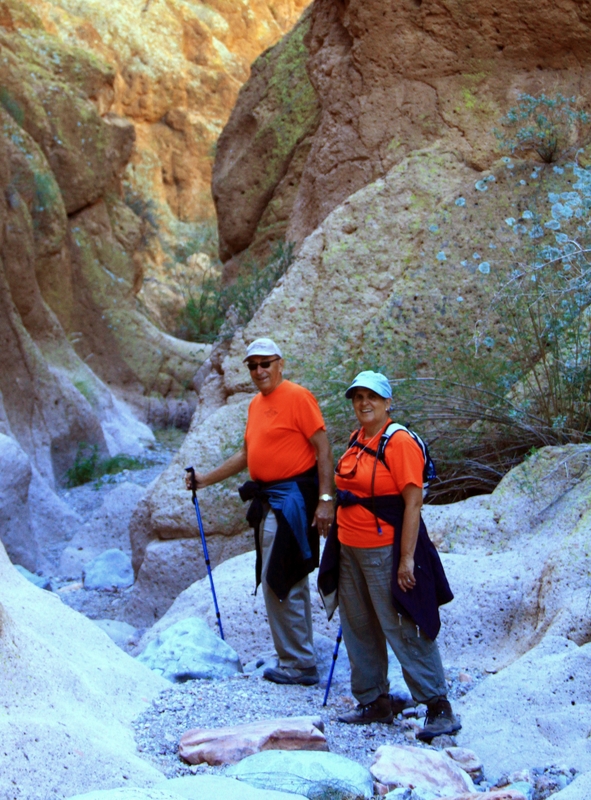 Bryan and Marita pose at a spot in the slot canyon which comprises the return leg of the loop. 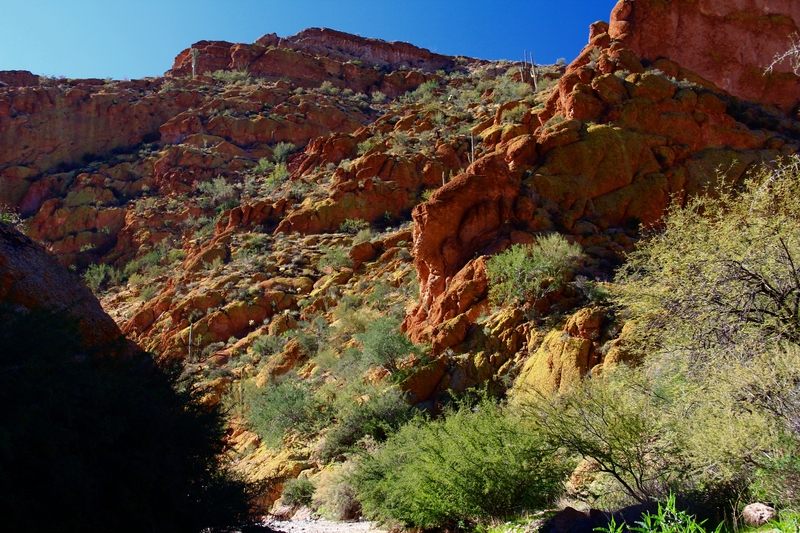 In some spots this canyon is just a few yards wide with sheer vertical cliffs on each side. Some have seen mountain sheep on this hike before, but this time the only critter seen was this eight-legged fellow who shared the trail with us. Nice photos, as usual. Sorry I missed the tarantula, I’ve yet to see one in the desert. 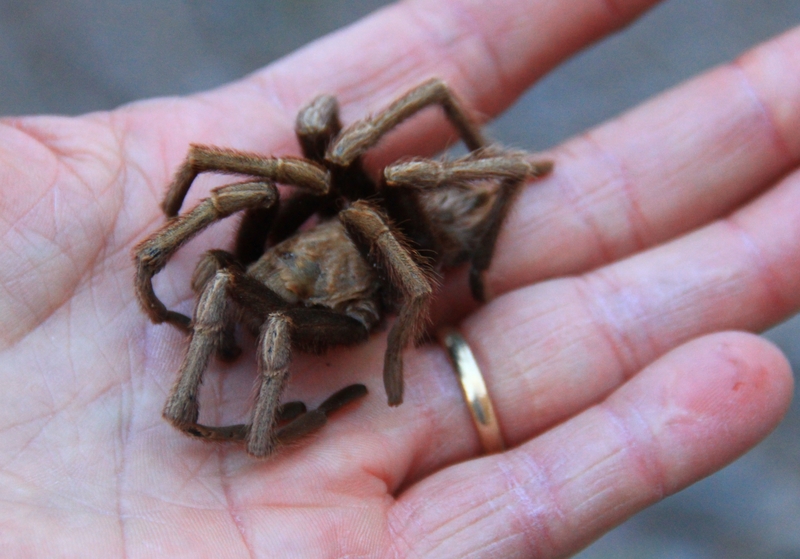 Thanks Hans – beautiful as usual – NOT sorry I missed the tarantula!